Moving the U.S. embassy in Israel from Tel Aviv to Jerusalem is mandated by law. Finally doing so would be a reflection of America’s core values. The new White House administration has promised to move the United States’ embassy in Israel from Tel Aviv to Jerusalem. This idea is controversial, not least because it is supported by Donald Trump. But the U.S. has had a law on its books for the last two decades that requires the government to do exactly what Trump is proposing. The reasons every president since Bill Clinton has waived the law are based on outdated and irrational arguments, which hold that, somehow, moving the embassy will cause a major international crisis. While Trump may be a controversial leader, the motivation behind two-plus decades of overwhelming bipartisan support for moving the embassy are far from controversial. Indeed, they are based on what it means to be American: the classic liberal values of individual rights and freedoms that are enshrined in our way of life. The only un-American policy on Jerusalem is the one the United States has pursued for the last 69 years; a policy of consciously refusing to recognize that the only capital city in the Middle East and North Africa where classic liberalism thrives is Jerusalem. The view that Jerusalem is Israel’s legitimate capital has been endorsed by overwhelming bipartisan majorities in Congress since the 1995 Jerusalem Embassy Act, which Clinton signed into law. The House approved it by a vote of 374-37, and the Senate by 93-5. Fulfilling the requirements of the law should be undertaken for a simple yet powerful reason: it is a classic liberal act. Classic liberalism—liberalism with a lower case “l,” the kind practiced in America—is the belief that humans are individuals and as such have individual rights like self-determination and religious choice; in Thomas Jefferson’s words, life, liberty, and the pursuit of happiness. This belief is at America’s core, and for centuries Americans have recognized that it needs to be actively and vigilantly protected. It has not only become American law, but also Israeli law. Just as in the U.S., the Israeli government protects the individual’s rights and freedoms through representative government with limited powers. Recognizing the self-selected capital of a fellow liberal state would send a powerful message, especially as the liberal international order that American helped create in the 20th century shows signs of weakening. All one needs to do is cast an eye on the other capitals of the Middle East, where these values are absent, to understand what happens as a result. America aims to do better for its own people, and much of its foreign policy has been centered around helping others across the globe achieve our freedoms and living standards. The Middle East and North Africa are home to the world’s majority of Arabs, Muslims, Jews, oil, and conflict, so they have long drawn the rest of the world into their orbit for a multitude of reasons, some well-intentioned and some not. One reason for American involvement has been the belief that if the region can achieve some form of liberalism, then the world will be a safer and more prosperous place. America has sent its military into the region several times over the past few decades while sending tens of billions of dollars in economic and political development. America’s nonprofits deploy far and wide across the region, providing everything from medical care to job training to micro-finance. All of this is done with the aim of achieving peace and stability so that people have a safe environment in which they can prosper through the means we know work best: liberal rights and freedoms. Yet the only example of a free and prosperous country in the region is Israel, which has received very little foreign development aid and non-profit involvement compared to its more troubled neighbors. It is the only country in the Middle East—and one of the few globally—to know nothing but democracy since its very first day of existence. It is also one of the few countries in the region where Americans have not had to intervene militarily. Israel is, whether people want to see it that way or not, a beacon of liberty because it is the only living and breathing example of freedom in the region. If Americans are genuine in their desire to support liberal freedoms, then they must use Israel as an example, and for those who hesitate at pursuing the goal of freedom because of America’s recent experiences in Iraq and Afghanistan, the case of Jerusalem is the perfect antidote, because it has not required any American military action. Recognizing that Jerusalem under Israeli control is a city that has successfully weathered the region’s conflicts and provides the only model of a successful liberal, democratic, multicultural, and free Middle Eastern capital is a potent message that is easy to deliver. Today’s Jerusalem is a successful if imperfect model of a liberal city with a diverse population and a flourishing multicultural identity. Jerusalem has not only some of the world’s most significant religious sites, but also a thriving society with world-class artistic, culinary, cultural, and educational achievements. This is a very new development in the history of the city. After all, it has changed hands 44 times over 118 conflicts that resulted in 11 transfers of religious authority over 4,000 years, according to the Archeological Institute of America. In order for today’s Jerusalem to come into existence, a key challenge had to be solved: coexistence. Coexistence in the city is by no means perfect. Tension continues with occasional violent outbursts, like the so-called “stabbing intifada” of 2015-2016, and demolition of houses that fail to meet city permitting or building standards, most of which are occupied by Arabs. However, the Israeli government persists in its efforts to create as much equality and prosperity for the city’s citizens as it can despite the reality that some of them support its overthrow. This practice is not only unique in the region, but also limited to representative governments subject to popular elections—in other words, the kinds of countries that make the world a better place to live. This is why a 2015 poll by the Palestinian Center for Public Opinion in the West Bank found that 52 percent of Palestinians living in eastern Jerusalem said they would prefer to remain there as citizens of Israel over becoming citizens of a Palestinian state. In 2011 the same survey found the number preferring Israeli to Palestinian citizenship was 40 percent; a year before it was only one-third. In other words, Palestinians experiencing the rights and freedoms of Israeli liberalism are increasingly uninterested in giving them up, even though their international supporters and diplomatic representatives claim otherwise. One powerful argument for Israel remaining in control of Jerusalem’s religious sites, which would be undone if Palestinians took control of eastern Jerusalem, is that the Palestinian Authority has an abhorrent record of protecting religious minorities (it is illegal there to convert from Islam to Christianity). Christians living in the Palestinian-controlled West Bank are fleeing: Christians made up 10 percent of the Palestinian territories in 1920, but were just one percent in 2010. In Bethlehem, their population has reduced from over half in 1990 to just 15 percent today. The life of religious minorities in areas controlled by the Palestinian Authority is deplorable, which makes the idea that the same government could govern the areas containing Christianity and Judaism’s holiest sites and and maintain freedom of religion (not to mention freedom of access) outrageously contradicted by reality. In contrast, the Christian population has been steadily rising inside Israel for decades, in no small part due to the freedom to worship that has been at the center of the Zionist movement since the beginning. The Jewish experience as a persecuted religious minority was one of the essential pillars of the project of building modern Israel. Jews fleeing persecution began returning to biblical Palestine, where they constituted the majority population by 1863, according to British consular records, contrary to the myth that Israel was born out of the Jewish flight from Nazism. Jews from around the world flooded biblical Palestine in the hope that restoring their ancestral homeland to Jewish self-government would save them from the second-class status, religious persecution, and anti-Semitic oppression they were suffering in all corners of the world. The reason Jews looked to biblical Palestine was the intimate connection between Jews and the land that extends back to pre-biblical times. The City of David Foundation has catalogued various archeological findings that demonstrate this connection, going as far back as the 1st century BCE: the Pool of Siloam, a ritual bath for Jewish pilgrims ascending to the Temple Mount, which is the size of two modern day Olympic pools; the pilgrimage road that worshipers took from Siloam to the Second Temple; a silver coin with the words “Holy Jerusalem” in Hebrew on one side and “half shekel” on the other. This coin and its location comport with a section of the Talmud that says every Jew was obligated to contribute a half shekel annually towards the Temple’s upkeep. One of the most exciting recent archaeological finds is Jerusalem was the Tel Dan inscription, a piece of writing on a 9th century BCE stone slab that furnished the first historical evidence of King David. The inscription was discovered in 1993 and explicitly refers to the “House of David” in Hebrew. While this evidence takes nothing away from other religions’ connection to Jerusalem, it demonstrates that the Jewish connection began centuries before Christianity and Islam came into existence, let alone planted roots in the city. 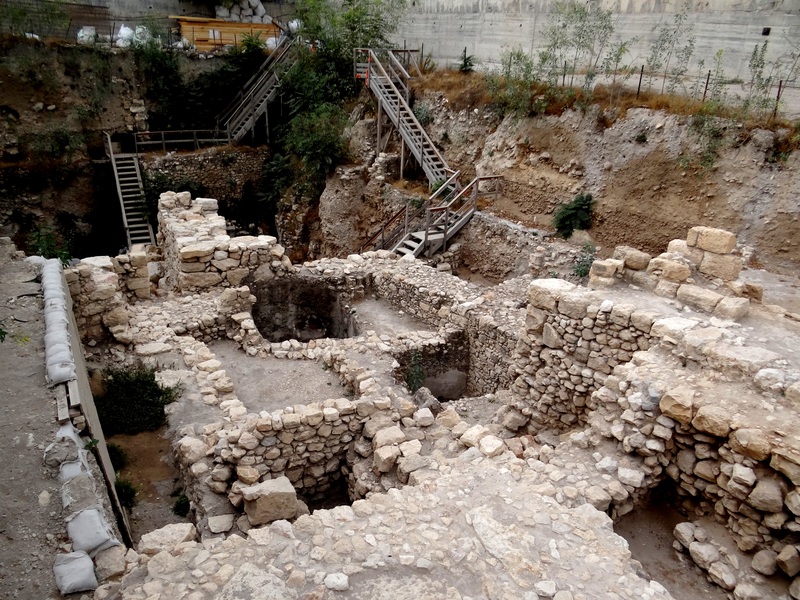 This archeological evidence is fundamental to Jewish and Israeli identity today. This is a crucial point for Americans, because we often view the Israeli-Arab conflict as a dispute over self-determination in which we see the rights of both sides to their own countries on their own terms. Since Jewish and Israeli identity has at its core an ancient connection to the land of Israel and its capital Jerusalem, an American decision to place its embassy in western Jerusalem respects Israel’s self-determination without sacrificing that of the Palestinians, who claim to want only eastern Jerusalem as their capital. In building the State of Israel, Jews were and continue to be motivated by their collective history of religious oppression. They sought to live in peace with their neighbors, knowing that only by governing themselves would they secure their right to the “pursuit of happiness.” As a result, the founders of the State of Israel pledged in their declaration of independence that all religions would be practiced freely in their new country. That right has remained a consistent part of the country’s core values. The closest that America has come to recognizing this reality is the aforementioned Jerusalem Embassy Act. 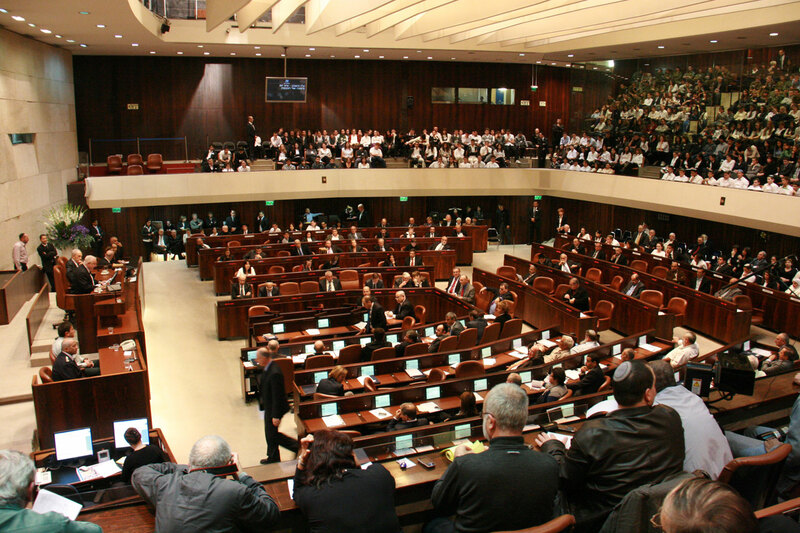 The bill recognizes Judaism’s eternal connection to Jerusalem and the liberal values Israel has instituted in the city, and acknowledges that for the sake of all people, especially religious minorities, Israel should have sovereignty over the city. The law’s findings state that “since 1967, Jerusalem has been a united city administered by Israel, and persons of all religious faiths have been guaranteed full access to holy sites within the city … [during which time] the rights of all faiths have been respected and protected.” The law requires the U.S. government to relocate its embassy from Tel Aviv to Jerusalem, and calls for America to recognize Jerusalem as Israel’s capital and support its unification as one city under Israeli sovereignty by the end of May 1999. Support for the Act has remained strong, with numerous bipartisan Congressional statements, resolutions, and bills, as well as a regular Jerusalem Day event, all of which aim to convince successive presidents to fulfill the Act’s obligations. The outpouring of bipartisan support for the Jerusalem Embassy Act came despite the supposed diplomatic challenges it posed for the White House, which many argue remain reason enough for Trump to avoid implementing it. Since the founding of Israel, the United States has refrained from recognizing Israeli sovereignty over Jerusalem and accepting Jerusalem as Israel’s capital. The bitter dispute over who will rule the city has yet to be decided, and it was American policy that only the two parties to the conflict can reach an agreement on the issue through bilateral negotiations. Therefore, any action by the U.S. regarding Jerusalem would “prejudge” the outcome of those negotiations. The Jerusalem Embassy Act, went the argument, was therefore in conflict with long-standing U.S. policy. Opponents of the bill also argued at the time that it was unconstitutional. Recognition of foreign sovereignty by the U.S. government is a responsibility that the Constitution tasked exclusively to the executive branch, and it was argued that Congress was breaking constitutional limits on its power by forcing the executive to recognize Israeli sovereignty over Jerusalem. Therefore, in order to win over the White House and secure enough votes for passage, the bill’s authors included a mechanism called the Presidential Waiver Authority. This meant that the president could postpone implementation by six months if he wrote to Congress certifying that doing so was in the national security interests of the United States. Every president since then has done this, so Jerusalem is considered an island unto itself by the U.S. government, a city without a country. Americans born in Jerusalem have the city’s name written on their passports as their place of birth without any mention of a parent country, while the U.S. embassy remains in Tel Aviv. Little headway has been made in establishing a two-state solution to the Israel-Palestinian conflict, or even settling many of the intermediate challenges, since 1995. An American embassy move may, however, break the stalemate. The argument being made right now by the Palestinian Authority and several other Arab governments is that an American embassy relocation to even western Jerusalem would make peace impossible. But this is only true if the Palestinian Authority and those Arab governments actually oppose the two-state solution, because it is premised on a divided Jerusalem with the western portion under Israeli sovereignty. 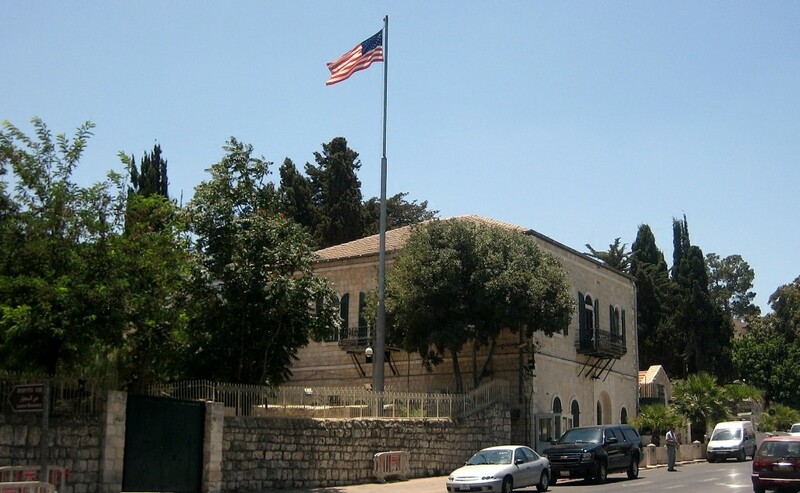 Therefore, a negative reaction to a U.S. embassy located in western Jerusalem is a sign that the Arab side is not serious about accepting a cornerstone of the peace process, and therefore suggests that the United States’ decades-long support for diplomacy may be misplaced because the Arab side does not intend to follow through on it. 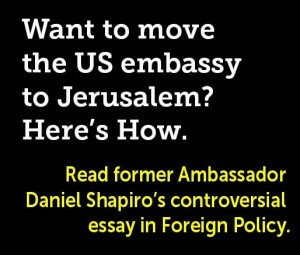 The continuation of the Jerusalem Embassy Act waiver usage for the past 21 years has been a similar exercise in poor critical thinking and the victory of stubborn hope over educated reason. It has been based on four mistaken assumptions. The first assumption is that American recognition of Israel’s sovereignty over Jerusalem creates a new “fact on the ground,” which it does not. American recognition is just that; it would not force the Palestinians or any other country to recognize it themselves. Nor would an American embassy in western Jerusalem create a city that is more united or divided than it is right now. The second is that Israeli sovereignty over Jerusalem means that it becomes a purely “Jewish” city. But Jerusalem has been a city open to all nations and faiths only when under Israeli control. It is, moreover, a city that hosts an Israeli government that includes a sizeable and influential bloc of democratically elected Arab parliamentarians, as well as an Arab justice on the Supreme Court who oversaw the 2014 national elections. An American embassy in western Jerusalem would not define the city as “Jewish” or “Arab,” nor would it force non-Jews out of the city in any way. The third is that moving the U.S. embassy to Jerusalem and recognizing Israeli sovereignty over the city prejudges its status in future negotiations between Israel and the Palestinians. This mistaken assumption is based on the faulty premise that America’s opinion of Jerusalem determines those of the Israelis and Palestinians. It does not. America gets to make its own decisions based on its own concerns, as do the parties to the conflict. In fact, the U.S. has already made a decision regarding Jerusalem that the Palestinians reject: western Jerusalem, at a minimum, is considered an Israeli city. For years, a State Department rule has held that its officials can be taken anywhere in Israel by Israeli officials, including western Jerusalem, though they cannot be taken to eastern Jerusalem. This constitutes de facto U.S. recognition that western Jerusalem is part of Israel. Locating a U.S. embassy there neither contradicts this policy nor poses a barrier to a two-state solution in which eastern Jerusalem becomes the capital of a Palestinian state. The forth is that the security of a Jerusalem embassy cannot be reasonably assured. This appears absurd when one considers other cities where America has long had embassies. The U.S. is undeterred by the constant threats and all-too-frequent attacks on its embassies in Riyadh, Baghdad, and Kabul, all of which are built like fortresses. Our embassies in Nairobi, Kenya and Dar-es-Salaam, Tanzania, where coordinated attacks in 1998 killed 234 people, remain in those cities. When an angry crowd burned the U.S. embassy in Islamabad, Pakistan in 1979, we did not relocate the new one. Neither did we move our Beirut embassy to another city in Lebanon after a 1983 attack killed 63 people. And, of course, we operated and continue to operate an embassy in Benghazi, Libya, despite the notorious attack that killed our ambassador and several others in 2012. The United States has a long and solid record of keeping embassies where they belong—in capital cities—in spite of security threats. In using the Jerusalem Embassy Act to move the American embassy to Jerusalem and recognize Israeli sovereignty over the city, America would be making a profound statement that it recognizes the Jewish connection to Jerusalem and believes, based on all the evidence of history, that the world is a better place when the liberal values embraced by Israel govern the city. Such a move would restore America’s credibility as a moral leader and signal that it is not interested in cowing to illiberal falsehoods. Put another way, the decision to move America’s embassy to Jerusalem and recognize Israeli sovereignty would be the decision of a great and reasonable country seeking a better world for all.